And we made it better. 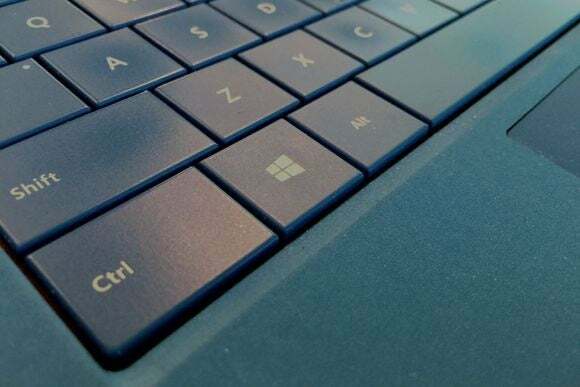 How well do you know your Windows key shortcuts in Windows 10? If you need a cheat sheet, Microsoft has just published one that you can download and print. There are 42 shortcuts in total, mostly dealing with window management, the Start menu, the Task view, and Cortana. Keep in mind the list only includes Windows key shortcuts, not shortcuts involving Ctrl or Alt. But Microsoft didn’t do a great job formatting its new document. The gigantic header takes up half of the first page, splitting the document across three pages as a result. That’s hardly ideal if you want to print out the list or view them on a single screen. With a simple edit, however, you can delete the header, and everything will fit on two pages. When viewed in “Multiple Pages” mode, you can view the full list of shortcuts on a single screen. We’ve posted our modified version on Dropbox. Otherwise you can grab the official document straight from Microsoft. Why this matters: Microsoft has added several new Windows key shortcuts in Windows 10, and they’re especially important if you want to snap programs side-by-side on a single display, manage multiple monitors, or juggle several Virtual Desktops. Taking a moment to print or save these shortcuts could save you lots of time in the long run.